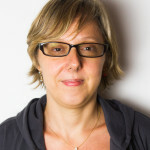 A climate scientist with over 15 years of engagement in international collaboration in scientific research and in science-policy dialogues, especially in Africa, Alessandra Giannini is best known for her post-doctoral work that conclusively demonstrated the oceanic origin of Sahel drought. After completing a physics degree from the University of Milan, in 1995 Giannini moved to New York and Columbia University to pursue studies in the dynamics of tropical climate, with the double intent of learning more about the workings of the climate system, and, by focusing on tropical climate, of learning how to do science that would be of potential use to society. Her dissertation elucidated the dynamics of the influence of the El Niño-Southern Oscillation on tropical Atlantic variability in two particularly vulnerable regions: the Brazilian Nordeste and the islands of the Caribbean. Since her post-doc at the National Center for Atmospheric Research, in Boulder, Colorado, the focus of Giannini’s research has been climate change in the Sahel. Her 2003 paper conclusively attributed the persistence of drought in this region of Africa in the 1970s and 1980s to changes in the oceans, challenging the widely held belief that held local populations responsible for this environmental disaster. Her most recent paper reconciles the above-mentioned argument about variability, relating oceanic forcing and rainfall response, with an argument about attribution of change, that is, indirect attribution of Sahel rainfall to human emissions of aerosols and greenhouse gases, through their influence on sea surface temperatures. At the IRI since 2003, Giannini is currently on leave at the Laboratoire de Météorologie Dynamique, in Paris, France, thanks to a "Make Our Planet Great Again" grant. She continues to research climate science, specifically African climate change on all time scales, and is extremely interested in the policy implications of scientific findings, and in the role of science and scientists in our global society.